Kinyoun staining method uses carbol-fuchsin as a primary stain, followed by decolorization with an acid-alcohol solution and methylene blue as a counterstain. Kinyoun carbol-fuschsin has a greater concentration of phenol and basic fuchsin and does not require heating in order to stain properly. 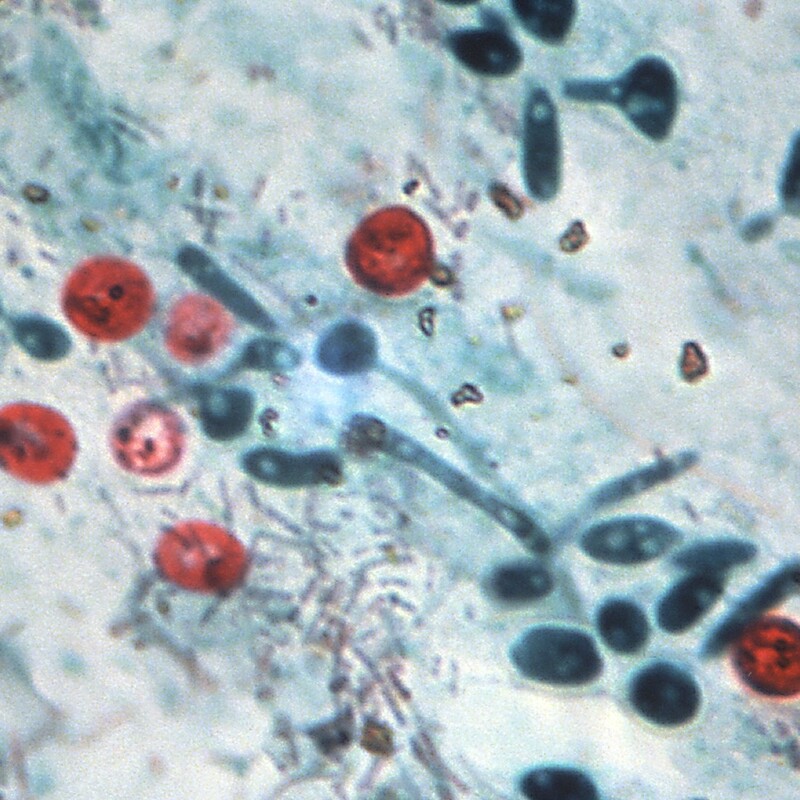 When viewed under a microscope, Kinyoun stained slides will show acid-fast organisms as red and non acid-fast organisms as blue.